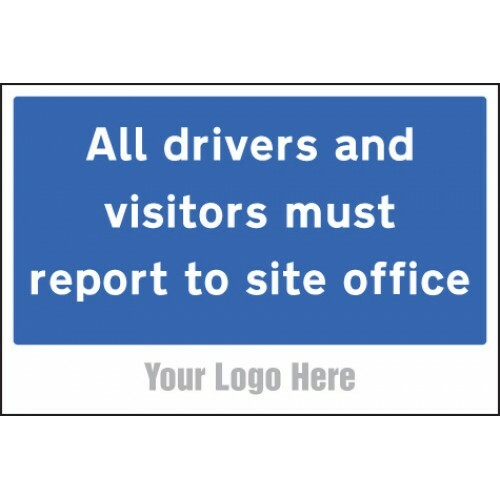 These site saver signs are manufactured from a low-cost material, allowing us to provide you with your own branded site traffic signs at an affordable price. Simply send us a Ai, EPS or High Res JPEG of your logo along with supplying us with any contact details you wish to include and we'll print your bespoke site traffic sign at no extra cost. The Re-Flex sign is pre-drilled to fit onto the Re-Flex Frame (57471 - sold separately). This allows sign faces to be interchanged. Signs are manufactured from a 3mm thick polypropylene with an RA1 en..